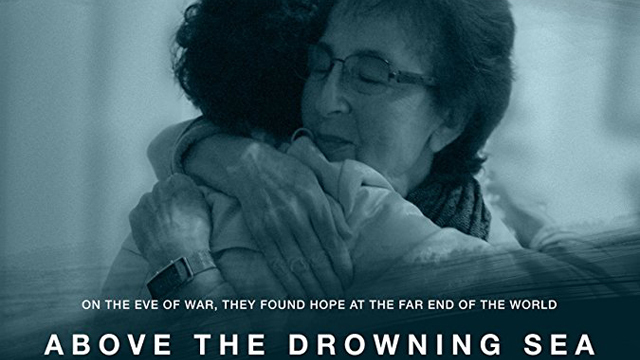 Film Screening & Discussion - "Above the Drowning Sea"
Check-in will begin at 4:30 pm. Reserved seating will be released to the stand-by line 5 minutes prior to screening. Above the Drowning Sea recounts the courageous intervention of Ho Feng Shan, the Chinese Consul in Vienna who defied his own government and braved the Gestapo to issue visas to the refugees. Jewish refugees and the Chinese residents of Shanghai who helped them survive in China recount their experiences, terrors and deprivations as well as the remarkable friendships forged across cultures, friendships that survive to this day. Shot in six countries over four continents, Above the Drowning Sea takes you on an inspiring emotional journey across time and across the world. Truly a story that could have been ripped from today’s headlines, the film vividly celebrates the heroism and humanity of ordinary people caught in extraordinary circumstances. René Balcer is well known as the showrunner, head writer and executive producer of the iconic television series Law & Order, and as the co-creator and showrunner of its hit spin-off series Law & Order Criminal Intent. In addition, he created the international hit series Jo starring Jean Reno. He has won an Emmy, the Peabody Award, a Writers Guild of America Award and four Edgar Awards for his television work. René has also written and produced award-winning documentaries on art and China. Earlier in his career, he was a front-line cameraman during the 1973 Yom Kippur War and a journalist in Montréal. René has lectured widely about writing, art and the duties of artists in free societies, notably at Harvard, Columbia, NYU, UPenn, the Sorbonne (Paris), the Central Academy of Fine Art (Beijing), and the Journalists Club (Moscow).